The national guard out of politics and are ready to execute the order if the court so decides. If the court decides to release the railway in the Donbass, the National guard is ready to participate in the lifting of the blockade force. This was stated by the commander of the National guard Lieutenant-General Yuri Alleron. “We, the guard, out of politics. We law enforcement formation. If the law stipulates that it is necessary to unlock the police are taking appropriate action, if its demands will refuse to comply, we – as the military component – will be forced to do it,” he said. “We are not afraid to be extreme. 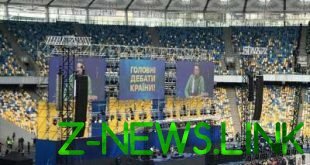 However, there is still a suggestion that if there are members of the block, the counterweight is also necessary to take deputies”, – said the General. At the same time, he noted that the issue of the blockade must be addressed in the regulatory and legal plane. “It should be a decision of the court according to the release. There are many components. But if someone goes, PR, solves some economic issues in the area of ATO? This can not be. The one who does the offender,” – said the commander of LaGuardia.